Block is one of the most important productivity tools in AutoCAD. By optimizing your blocks, you will find that AutoCAD is not just about drawing lines or just get the drawings done. You can draw lines fast, but productivity is beyond that. It’s not just to get the drawings done. You need to be able to modify drawings easily during the design process. You may be able to finish your drawing very quickly, but you may spend too much time when you’re doing revisions. If you do, then you’re not being productive. Drawings also should provide necessary information. 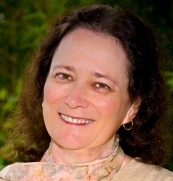 Furthermore, you will want to add some intelligence, so you can automate some process. 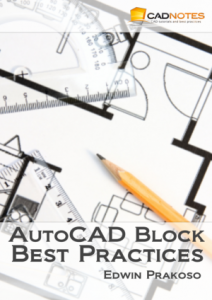 This is what AutoCAD Block Best Practices e-book is about. *The payment is processed by PayPal. You don’t have to have PayPal account to make the payment. For other payment method, after you click checkout, choose “Pay with a debit or credit card, or Bill Me Later”. 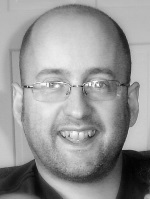 In ‘AutoCAD block best practices’, Edwin takes the concept of creating and managing AutoCAD Blocks and, in his usual clear style, walks you through the steps to create simple, useful reusable content. I can recommend ‘AutoCAD Block best practices’ to anyone who is new to the concept of AutoCAD Blocks, or to more experienced users who are looking for that extra productivity edge. Edwin Prakoso’s book, AutoCAD Block Best Practices, is more than the title suggests. It’s a well-written and thorough coverage of blocks in AutoCAD, include how to create, edit and use them, how to work with attributes, how to create annotative blocks, how to create dynamic blocks, and how to extract data from blocks. Oh, and he also discusses best practices. Blocks are such an essential part of AutoCAD and this book will really help you get the most out of them. In this e-book, you will learn how to create, automate, and manage your blocks. We’re not only discussing features, but we’re also talking about productivity concept. And how you can use blocks to solve problems in AutoCAD. This e-book can be used by AutoCAD users from beginners to intermediate users. However, I believe advanced users still can use the information. You can see what you can achieve by seeing it in this demo video on YouTube. How to create, modify, and use your block. Attach information to your block. Extracting data from your block to create reports. More samples and block tricks…If you want to see the e-book content, you can see the table of contents and sample chapter here. The e-book price is US$ 14.95. *The payment is processed by PayPal. You don’t have to have PayPal account to make the payment. For other payment method, after you click checkout, choose “Pay with a debit or credit card, or Bill Me Later”.